It is easy to make lighting functional, the challenge it to make it art. These lamps take Lighting Design to a whole new level with their gorgeous lines, bright colors and innovative style. 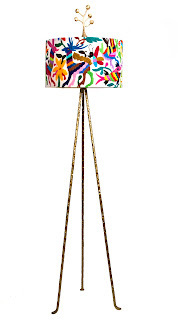 Oopsy Daisy Floor Lamp is whimsical and stylish. A perfect way to add a fresh look to a space. The lamp is handmade and hand painted in Mexico and takes a 3-way bulb. It measures 52"h x 12"d.
The Otomi Floor Lamp is truly unique. It stands on a gold, 3-legged base adorned with a leaf sculpture at the top. 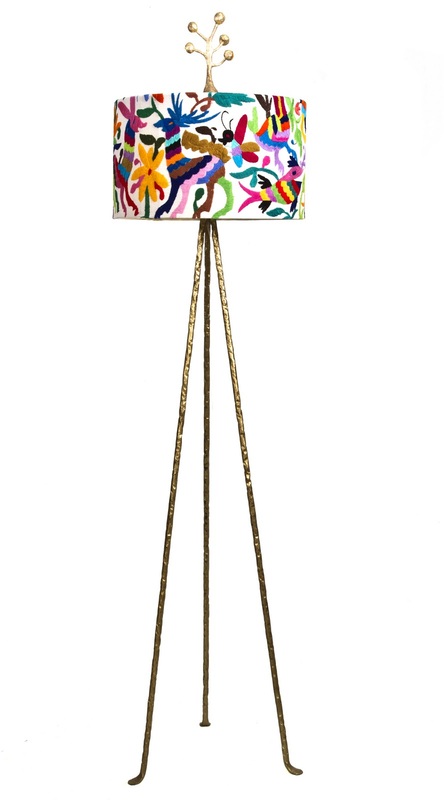 The lamp itself is hand crafted in Mexico and is topped with a hand-embroidered Otomi shade. It measures 64"h x 16"d.